A perennial American foreign policy debate sets “realism” against “idealism”, national interest versus morality. The dichotomy is often overstated. The two currents divide and merge incessantly in the flow of implementation of any concrete overseas policy and tactics. American statesmen have argued — contemporary politicians still do as did The Founding Fathers — absent the racial, ethnic and millennia of common history of America’s largely European forebears, the essence of the American Republic was ideological. Most Americans, even if innocent of the larger argument, still do identify themselves as belonging to a society based on freedom of the individual largely lodged in British traditions of common law. 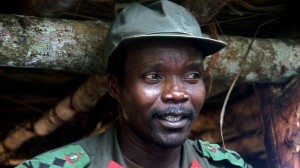 Joseph Kony, the fugitive head of the Ugandan Lords Resistance Army rebels. But that belief is joined in a larger Judeo-Christian ethos of “the shinning city on the hill”, a perceived model of pursuit of rectitude with an accompanying missionary zeal to share it with the rest of the world. And that is where it enters U.S. foreign policy. Where American foreign initiatives have been successful, the moral concept has been an integral part of what purported to be hard-nosed, even cynical “realism” — what today has come to be called exerting “soft power” — especially when Washington successfully led coalitions, first against Nazism and then against Communism. For U.S. leadership rested not only on the American economy’s strength helping a devastated Europe and Japan and then trying to energize the so-called “developing” world but on its force as a model for resolving domestic conflict with justice in a peaceful [the Civil War excepted] if not always orderly fashion. President Barack Obama has specifically rejected this “American exceptionalism”. But his denigration of past U.S. initiatives, his “leading from behind” and the carping by the usual foreign suspects of American “real intentions”, notwithstanding, the world still looks to Washington for leadership. But Americans are now weary: two Mideast wars, seemingly, for the moment anyway, are ending inconclusively despite expenditure by U.S. standards of too much blood and extravagant riches by the world’s count. Nevertheless, now, again, even while public attention is diverted to a crippled economy and the quadrennial, sometimes silly, season of choosing new leadership, the U.S. is asked to take on new overseas burdens. But just as 9/11 with its unprecedented attack on the American homeland [far more portentous in its strategic implications perhaps than Pearl Harbor], forever changed perceptions of foreign threat, the digital revolution’s effects on mass communications, public opinion and the U.S. political system in evaluating new moral issues is still emerging. The Balkan Wars [Bosnia, 1992-95 and Kosovo, 1996] were precursors in their appeals for adjudication when the Europeans, initially, looked the other way at problems on their doorstep. A generation later in another century Washington’s dilemma has not gone away, but perhaps grows. Quite suddenly there is a dramatic case in point: if you have not seen the 28-minute video “Kony 2012”, you probably will soon. Whatever its merits – and it is under attack as naïve even from those who share its sponsors’ concerns in Uganda and elsewhere — its protagonists already have mobilized the U.S. government. After a quarter of a century inaction, the Obama Administration has sent a 100-man military detachment to try to help Ugandans and other Central African governments capture and bring to justice one of the world’s greatest monsters, Joseph Kony, leader of his misbegotten “Lords Resistance Army”. For almost three decades this personification of evil has kidnapped and trained thousands of children in mass murder, seemingly without any aim other than inflicting terror and exerting his personal power. The film’s sponsors, reversing old methodology, are now trying to reinforce their successful government lobbying by mobilizing public opinion. The American military detachment’s task is awesome for Kony has retreated into the Africa of Joseph Conrad’s Heart of Darkness. As in so many guerrilla conflicts, there is considerable possibility of “escalation”. It is not that the U.S. has not been down this road before. But in this instance, no real argument has been made for U.S. “national interest”, i.e., “realism” — but only an overwhelming case for a humanitarian cause for which American expertise is critical. U.S. military assistance is turning up elsewhere in volatile Africa; for example, a military training group recently in Mali to help reserve another fragile post-colonial state from disintegration. There will be other requests, certainly. And so a new round in the debate on realism versus idealism begins.